TABELLE S is another very special mare imported from Holland that we had the privilege to add to our breeding program. 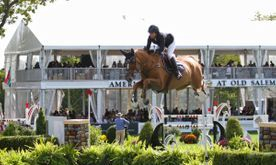 She is a product of the well known Family Van Straaten which has produced many approved stallions and GP jumpers. 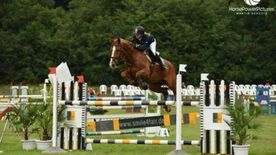 Tabelle S family is full of performance horses with success at the higher level of sport. 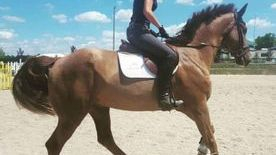 She is a STER mare which quality stand above the standard of the breed and her EPTM test drove her at the top of her qualification. 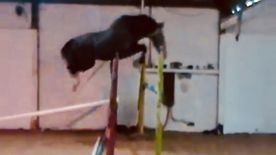 She had 8.5 for her take off , 8 for technique, 9 for scope and an overall 9 for talent in jumping. She was awarded with the PRESTATIE predicate, whis is the most coveted predicate for a broodmare. 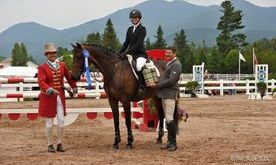 The Prestatie is given to a mare who has at least 3 offspring in higher sport that earned sufficient point from 1m30 to Grand Prix to quality for this predicate. Few special mares are granted this award. Tabelle proves a good mareline is the garantee of quality and performance. 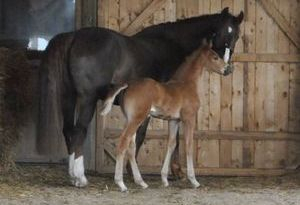 Out of 9 sibling 8 went in sport, 7 were jumping at 1m40 to 1m50 and the ninth was an Approved Stallion. Tabelle had 6 offspring before she was imported to Canada. 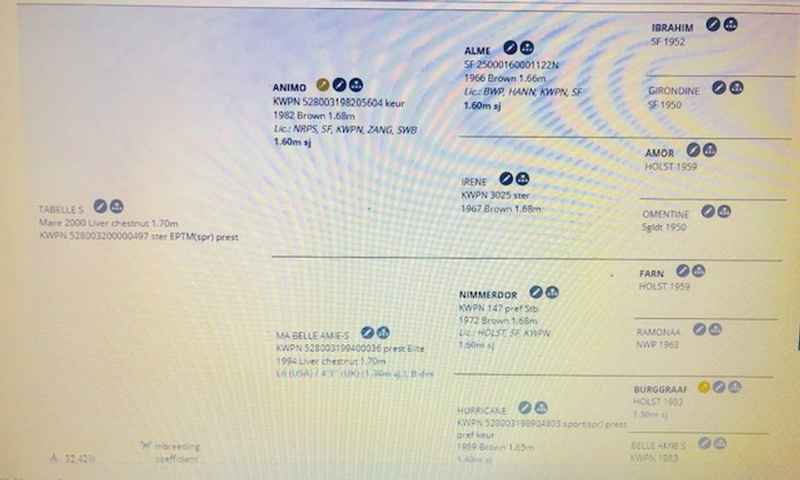 One died in an accident as a yearling and the 5 others went successfully in sport up to Grand Prix . Her sire Animo KEUR is probably the best son of the renowned chef de race Alme. 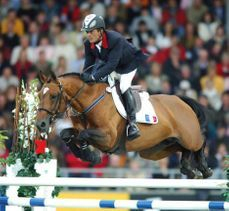 Animo jumped with success at the highest level and competed at the Olympics of Barcelona and many Grand Prix. ZABELLE S by Indoctro born in 2004 in Holland is the first born and sole filly of Tabelle S. She had a career up to 1m50 in Holland and was imported in the USA for a junior to ride. Talented and easy to she had high mark for her IBOP earned her ELITE, the top predicate for conformation and talent with good x-rays. 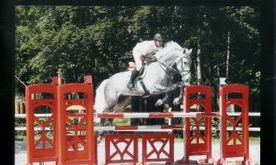 Gelding by Corland competed in eventing.